Mederic R. Dubois, 87, of Oswego, NY entered into eternal rest on June 21, 2011 at St. Mary’s Hospital in Trois-Rivieres, Quebec, Canada. He was born in St. Luc de Vincennes, Quebec, Canada on December 24, 1923. He was one of 13 children of Josaphat and Germaine Dubois. He was raised in Canada on his family farm. He worked as a lumberjack and at Alcan Aluminum before moving his family to the United States in 1956 where he pursued his career as a cement mason for the next 27 years. He worked on projects at the Air Force base in Plattsburg, NY, the Eisenhower Dam in Massena, NY, helped rebuild the American side of Niagara Falls and then moved to Oswego. He worked on projects such as Penfield Library, Lanigan Hall, Steam Station and the Nuclear Power Plants. He moved to California and returned back to Oswego. Upon retiring, he and his wife enjoyed many years at their winter home in St. Cloud, Florida and their summers at their cottage in St. Maurice, Quebec. He was active in the St. Cloud, FL Shuffleboard Club. He was an avid hunter of moose, caribou and deer. He also enjoyed fishing and traveling. 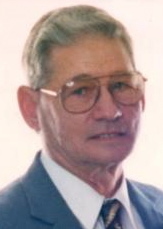 He is survived by two daughters, Claudette (Gene) Sova of North Rose and Mireille (Gerald) Watts of Hannibal, 4 grandchildren, Gene Sova, Jr. of NC, Jason Sova of Rochester, Timothy (Angela) Watts of Wolcott, Sarah (Cliff Durfee) Watts of Oswego and 2 great-grandchildren, Emma and Madison Watts, 5 brothers, Gaston, Ange-Albert, Reginald, Yvon, Roland, 6 sisters, Marielle, Fernande, Ghislaine, Pierrette, Therese and Nicole. Also surviving are several brothers and sisters-in-law all of the Province of Ontario and Quebec, Canada. His wife of 61 yrs., Georgette predeceased him in 2008, his son, Martin in 1979 along with his brother, Marcel in 2010. Funeral services were held in Trois-Rivieres, Quebec, Canada on June 28, 2011. Entombment services will be held at the All Saints Mausoleum, St. Peter’s Cemetery in Oswego with Rev. Richard Morisette officiating on Saturday, July 9, 2011 at 10:30 AM. In lieu of flowers, donations can be made to the American Heart Association or a charity of your choice.